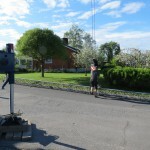 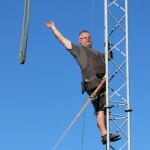 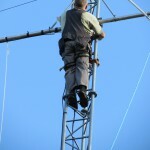 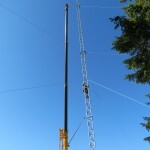 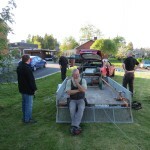 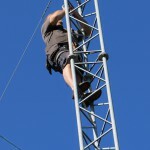 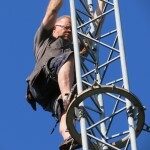 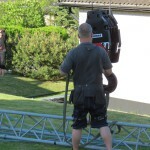 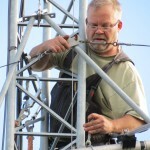 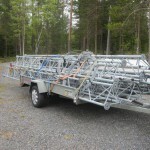 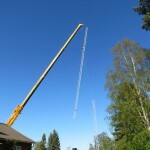 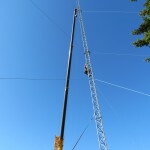 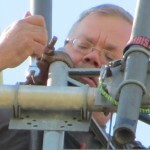 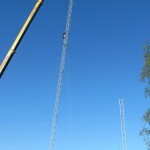 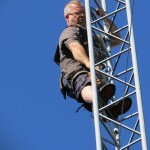 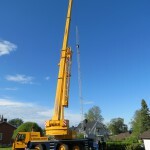 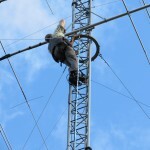 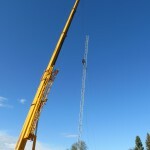 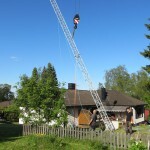 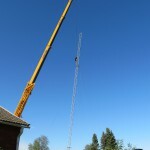 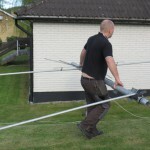 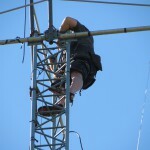 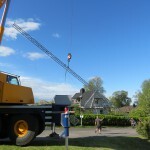 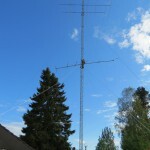 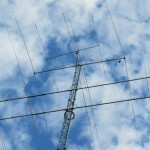 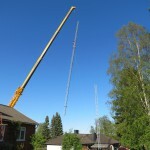 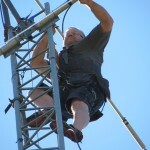 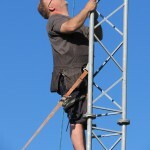 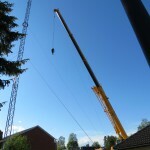 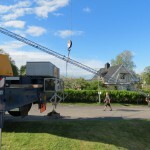 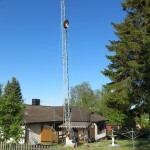 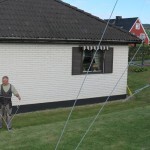 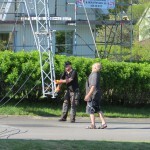 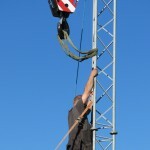 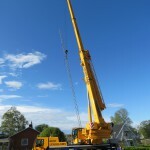 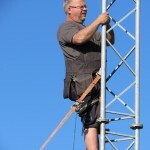 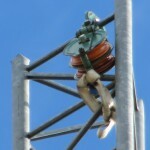 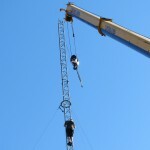 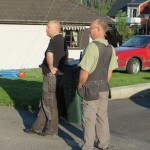 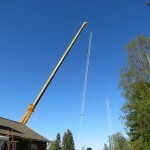 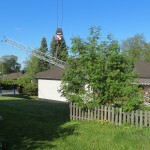 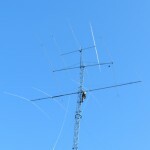 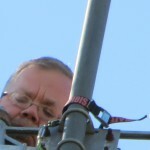 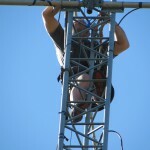 The 36m tower was taken down in Sundsvall in May 2012. 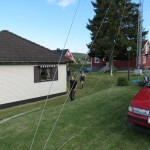 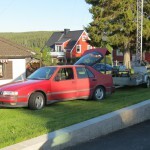 Sundsvall is located about 700 km south of my QTH. 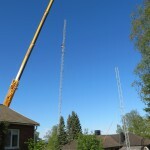 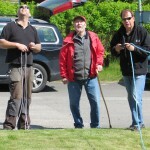 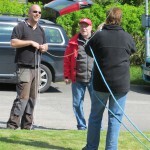 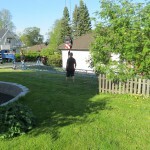 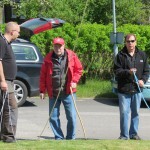 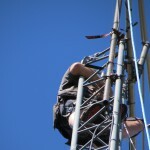 The climbing was done by SM2NOG/H-G.